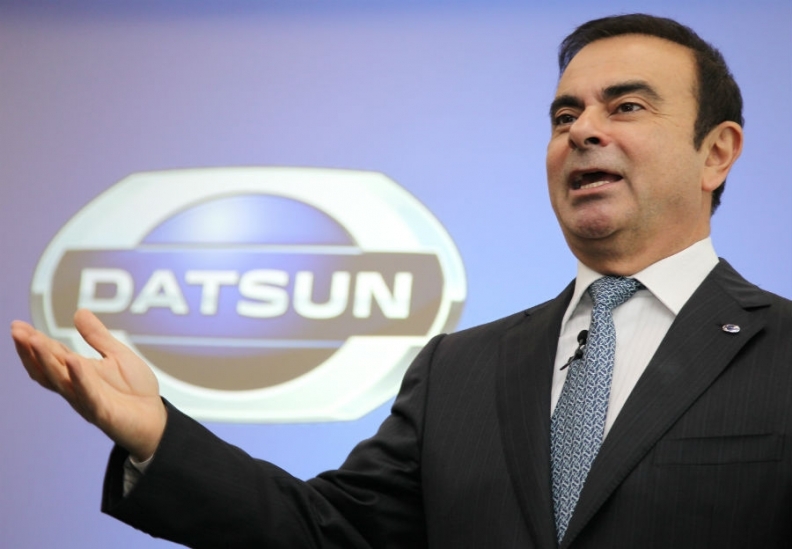 Ghosn on Datsun: "We're going to go step by step." TOKYO (Bloomberg) -- Nissan Motor Co. plans to expand sales of its low-end Datsun brand to the Middle East, Africa, and Latin America, CEO Carlos Ghosn said. The company plans to sell Datsun cars in those regions after introducing them in Indonesia, India and Russia starting in 2014, Ghosn said in a Bloomberg Television interview in Hong Kong today. "We're going to go step by step," Ghosn said. "It's going to be affordable." Ghosn is reviving the Datsun brand after three decades to capture demand for low-end cars in emerging markets as part of Nissan's plans to increase its share of global vehicle sales to 8 percent by March 2017. Nissan has said it expects Datsun, the company's third global brand, to account for as much as half of its sales in those markets in five years. In China, the company plans to produce vehicles at "full-speed" and stockpiling in the country is "not an issue for Nissan," Ghosn said. The Chinese auto market will probably increase 7 percent to 8 percent this year, Ghosn said. Ghosn, who's in Hong Kong today to open the company's new Infiniti global headquarters there, reiterated the company's plans for Infiniti to account for 10 percent of the global luxury car market by fiscal 2016. On the yen, Ghosn said he expects the Japanese currency to weaken to 80 to 85 yen against the dollar.